Today we’d like to introduce you to Jerry Meunier. Jerry, please share your story with us. How did you get to where you are today? For all of my adult life, I’ve had a nightly ritual of lighting a few candles in my home. For me, it creates a very peaceful, good-feeling, and relaxing atmosphere. Part of my inspiration for LUTL happened one evening when I turned on the TV and began to light candles. I turned my attention to the TV – a news story about the unrest after the Freddie Gray death in Baltimore. 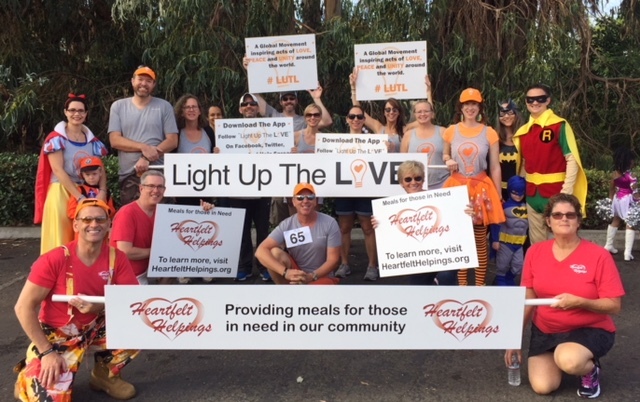 I thought to myself, “I wish everyone would Light Up The LOVE!” I repeated the phrase “Light Up The LOVE” to myself several times and I felt the energy get stronger and stronger within me. 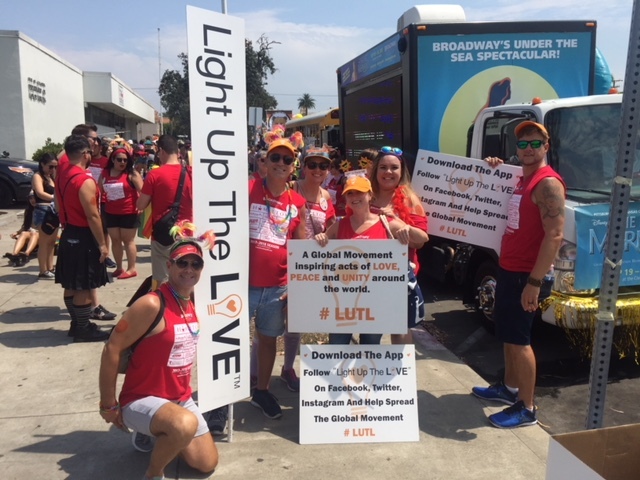 At that moment, I knew I was being inspired to take the action needed to start a global movement to remind and inspire everyone to “Light Up The LOVE.” Friends and family all became part of the collaborative team that made LUTL a reality. I believe a movement is about People giving their time and effort because they are passionate about the cause. 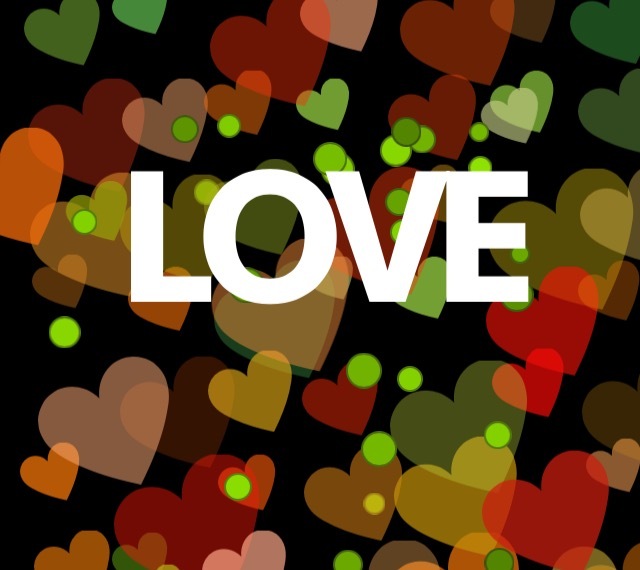 And right now, there is such a strong craving for Love, Peace, and Unity sweeping across our planet! I believe by being and sharing Love, we can inspire the LUTL Global Movement always. My intent each day is to be the best example of Love to myself and everyone and everything I connect with. For me, it’s the right thing to do and it always feels good. I believe we are all born with nothing but unconditional Love in our hearts. Love and belonging form connections that everyone wants in their lives. 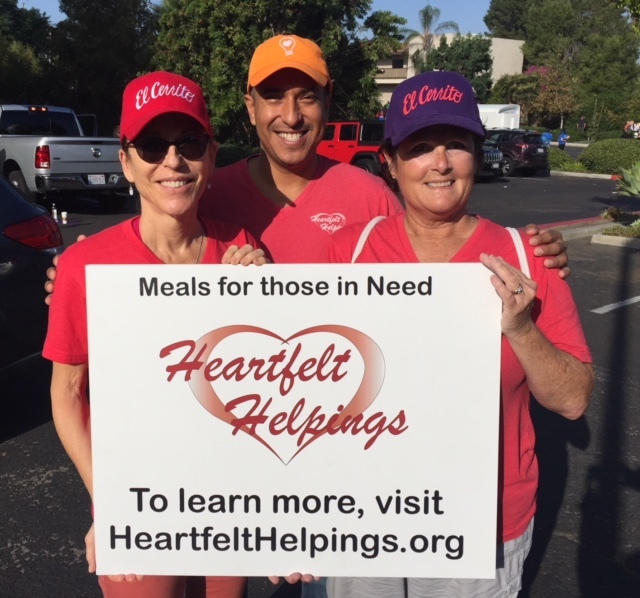 As the co-founder of Heartfelt Helpings, a non-profit that provides meals to those in need here in San Diego, I’ve experienced countless times the power of giving Love, Kindness, and Hope. The meals are appreciated, however, it’s the emotional support that can be life-changing. It’s this journey with Heartfelt Helpings that I co-founded with Elaine Therrien in July 2014 that was also an inspiration for the LUTL Global Movement. Being part of the solution is a blessing and taking action to make the change you want in the world is an empowering way of life! 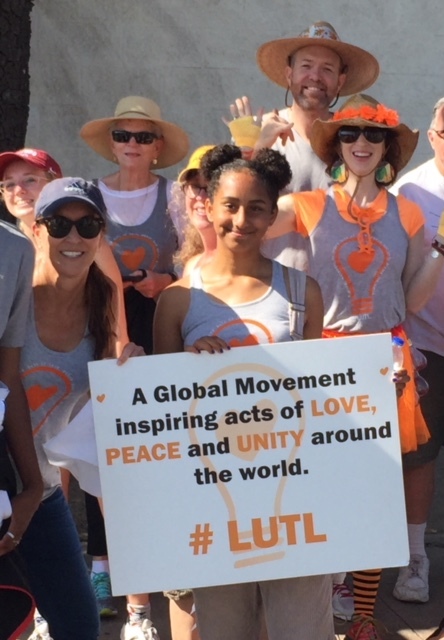 As a tool to support the LUTL Global Movement, a LOVE app was created. The app is a way to help celebrate or honor individuals and groups, show unity, or promote Love and Peace at an event, rally, concert or public/school cause. There are countless ways to share LOVE with the LUTL app. The Light Up The LOVE Global Movement continues to gain momentum daily. 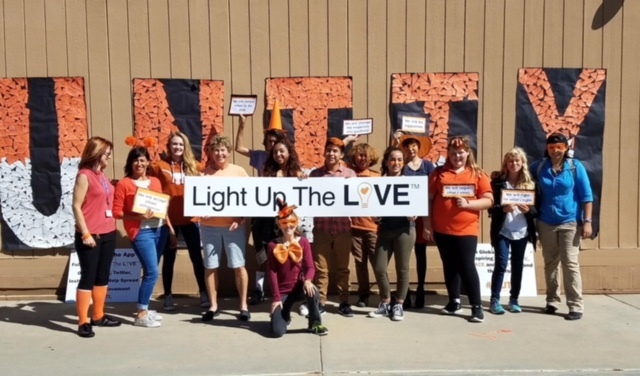 Schools, Groups, and Businesses are adopting and using LUTL as their call to action for Events, Causes, Campaigns, and Celebrations. 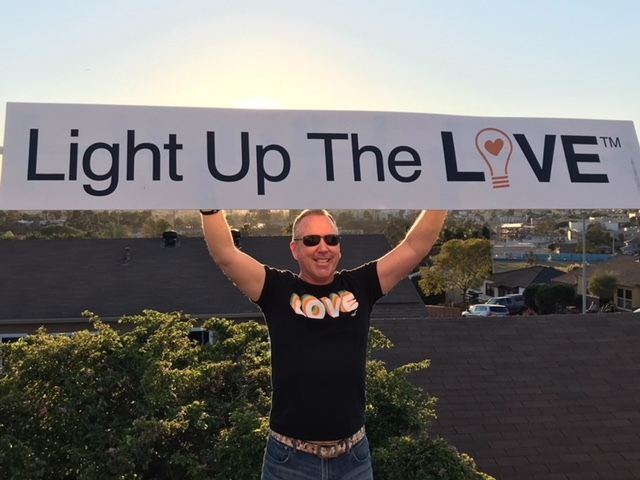 My dream is to have “Light Up The LOVE” become a common household phrase so everyone can be inspired and reminded that there is an action we can always take, especially in life’s challenging situations. There are countless ways to LUTL…you get to choose the ways that feel good and resonate with you! All you have to say to yourself is “How can I Light Up The LOVE at this moment?” And I promise the answer will always come to you. Like any road, I believe there are bumps along the way at some point. Being mindful of these bumps and remembering that it’s my perspective and that I have a choice on how to react to them is where I gain strength. I have a 30 year Sales/Marketing background and early on with both LUTL and Heartfelt Helpings, I was still wearing my aggressive Sales hat. I’ve learned to be patient, take one day at a time and simply share my heartfelt story and know that my goals will happen at the right time always. One struggle is that some meetings and presentations were not as passionately received as I felt they should have been. There have been many times where I felt Light Up The LOVE and Heartfelt Helpings were the perfect solution… and that was not always the case. I have learned to not let others thoughts and feelings affect my excitement. Staying present, knowing that all is well and not needing others to believe what I believe has shifted the momentum into high gear. I’ve been planting and nurturing seeds for many years and it’s a blessing to now watch them grow and spread! So let’s switch gears a bit and go into the Light Up The LOVE Global Movement story. Tell us more about the business. 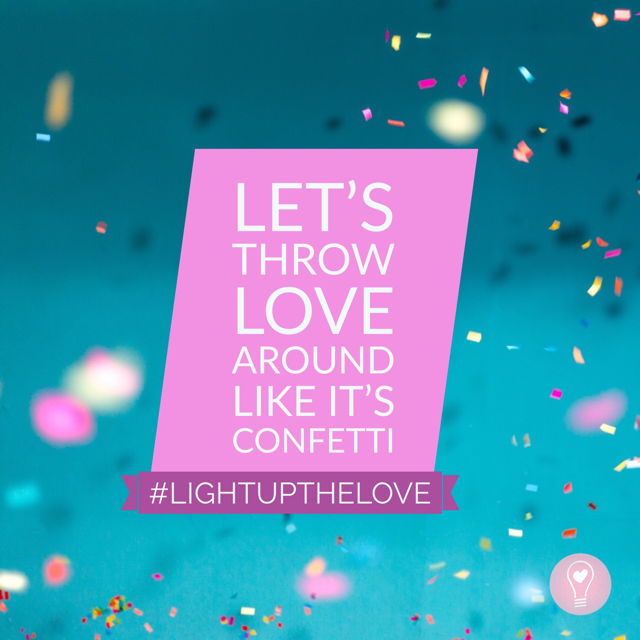 I am most proud of the many people that have adopted the Light Up The LOVE Global Movement and celebrate and share it daily. 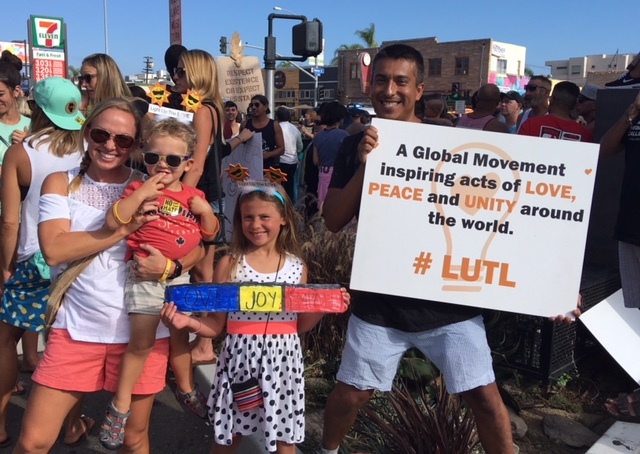 These #LUTL Ambassadors are passionate about the Movement and have said LUTL is making a positive difference within their communities and around the world. I believe we all have something we can share with those less fortunate. Whether it’s our time, talents or money, we must take some form of action… and LUTL always inspires actions!